Alabama opened the second half of tonight’s national championship game down 15 points to Clemson. 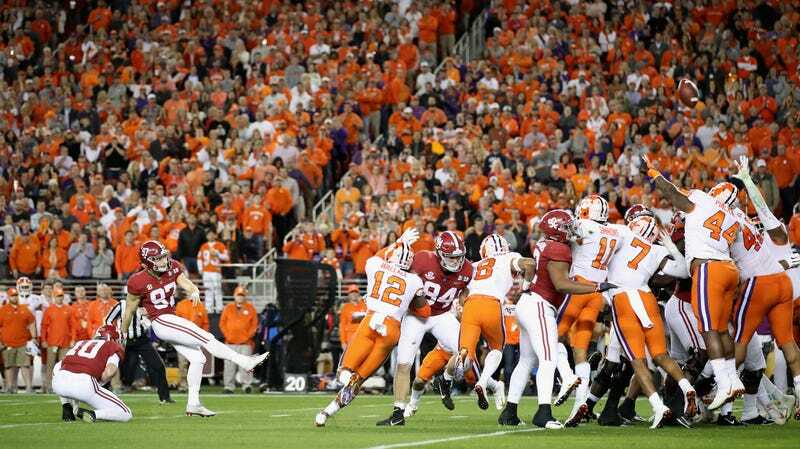 It should’ve been 14 points, but kicker Joseph Bulovas missed the extra point after Alabama’s second touchdown, and Clemson has had the lead ever since. Saban usually has quarterbacks serve as holders because they have sure hands and handle the ball constantly, players said. Quarterbacks also can fake a field goal, then stand up and throw the ball for a first down—or a touchdown. Saban has his team work on the trick play often in practice, said Chris Sailer, founder of a prominent kicking camp and a longtime kicking consultant to Saban. 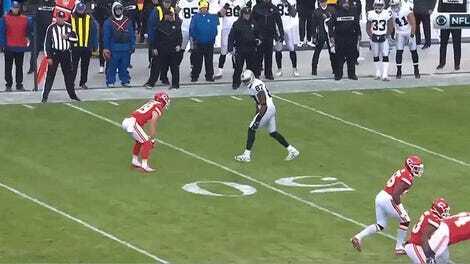 That’s why, when coaches choose a holder, “I would say 90% would like to go with a punter if he is capable,” Sailer said. Former Alabama punter JK Scott is in his first year of holding for the Green Bay Packers. He said he’s learned from veteran placekicker Mason Crosby just how much the three players involved on a kick can improve by practicing together. “There’s so much work that we put in together—me, him and the snapper—throughout the week that the quarterback just doesn’t have time to do,” Scott said. You will note, Alabama’s first PAT of the night was a low knuckler that barely cleared the crossbar. And their second PAT doinked off an upright. Bulovas successfully converted a 25-yard field goal in the first half, but this will be something to keep an eye on, and/or to lord over Nick Saban until the end of time.